Mod The Sims - Don't Sweat It! 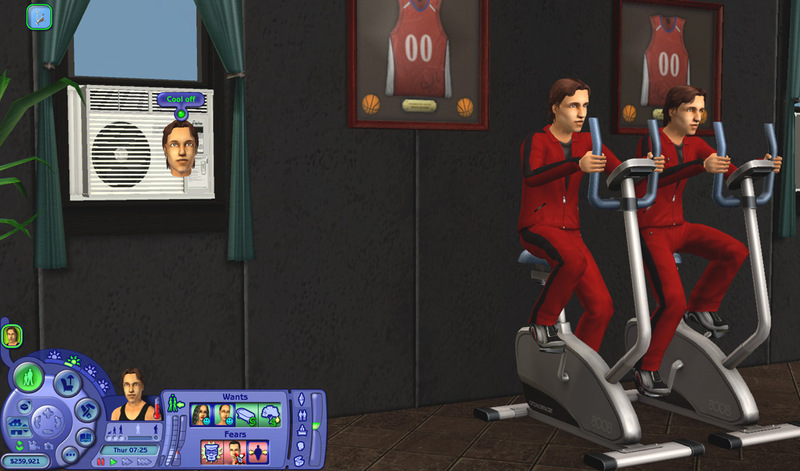 Have your sims been exercising? Are they overheated and about ready to drop? Is the sweat puddling up and threatening to drown everyone in the neighborhood? Well, I've got the solution. 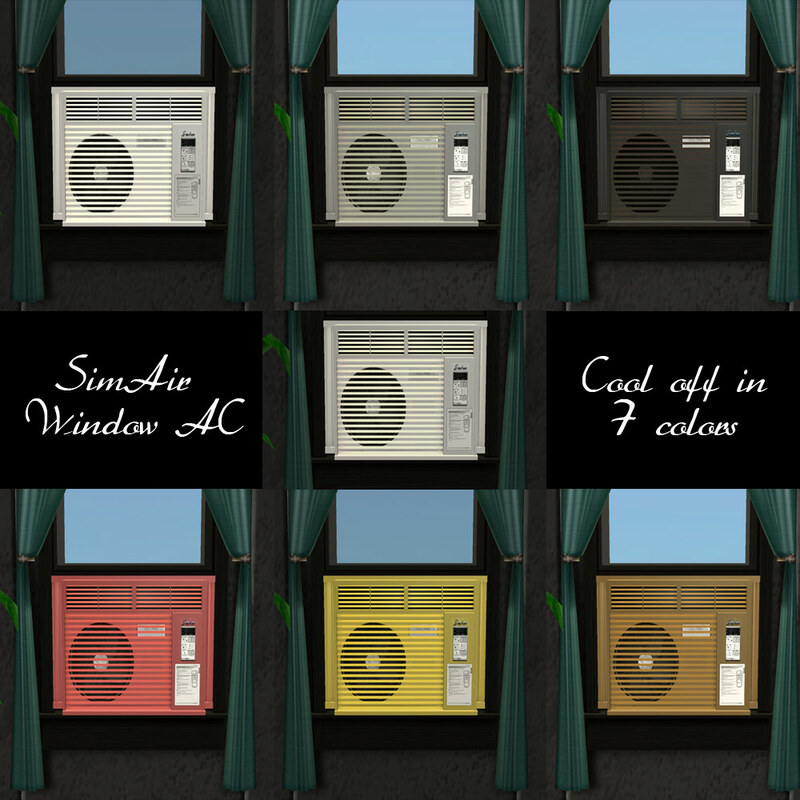 A brand new window air conditioner courtesy of the folks at SimAire. 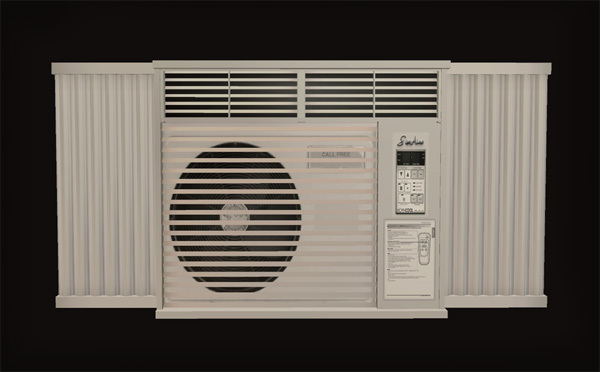 This air conditioner doesn't just sit in the window and look pretty. Your sims can actually cool off! Works indoors only - to make it realistic. Will maintain the temperature of any Sim in the room at around the optimum. Extremely cold or hot Sims will take about an hour to reach a comfortable temperature with one unit in the room. 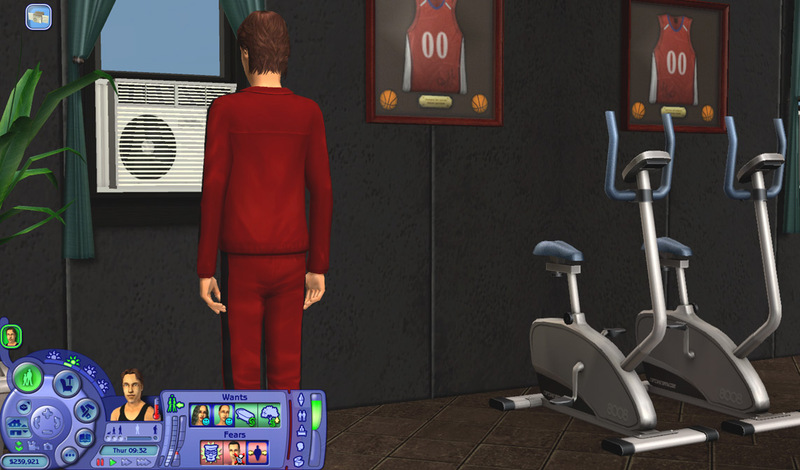 More units in a room will change your Sims' temperature faster. There is also a menu option to Warm Up* or Cool Off which they do by going and standing under it or nearby, and works twice as fast. This option is autonomous depending on need, and in my tests all Sims decided by themselves to cool off or warm up before they collapsed. Note: I didn't test the Warm Up functionality and wasn't even going to leave the BHAV in since this is an air conditioner. It should work since the BHAVs are the same as Inge's version. You might be wondering which windows this will fit in: this is sized and positioned to fit in the Breeze-Easy window. 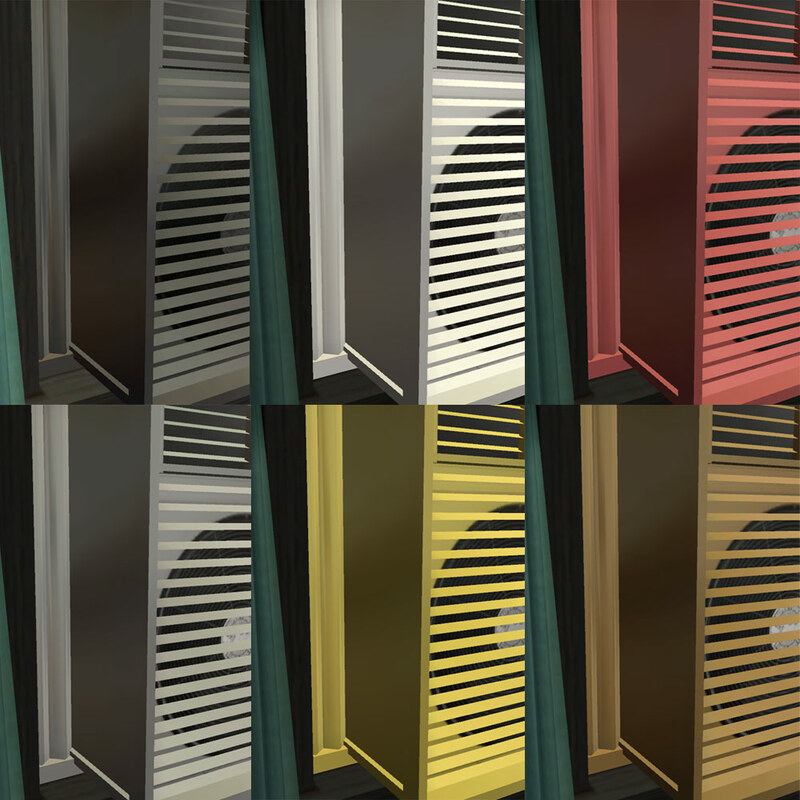 It will fit in similarly sized windows and if you have any custom windows that are a bit wider, the handy-dandy-expandy sides of the air conditioner will fill any gaps, just like a real air conditioner. You also might be wondering if there is anything you might want to watch out for. Well, in my tests everything worked perfectly. The only thing you have to be careful is leaving a tile between windows- the sides of the air conditioner will show through the other window(s) if the windows are side-by-side. Sorry about that, but I wanted to make sure it would fit in full tile wide windows. You can use this with windows that are centered on 2 tiles. Just use boolpropsnapobjectstogrid false or setquartertileplacement on to place it. Unfortunately, you can't use this with 2-tile wide windows unless you like the look of the handy-dandy-expandy sides not meeting the sides of the window. If you can shift objects, you can shift this air conditioner. 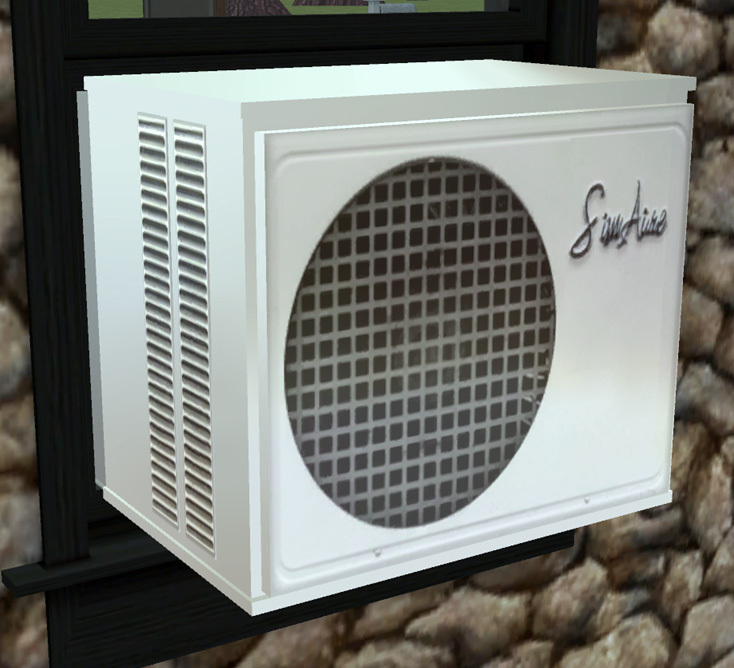 If you can use the quarter tile placement cheat, you can use it with this air conditioner. 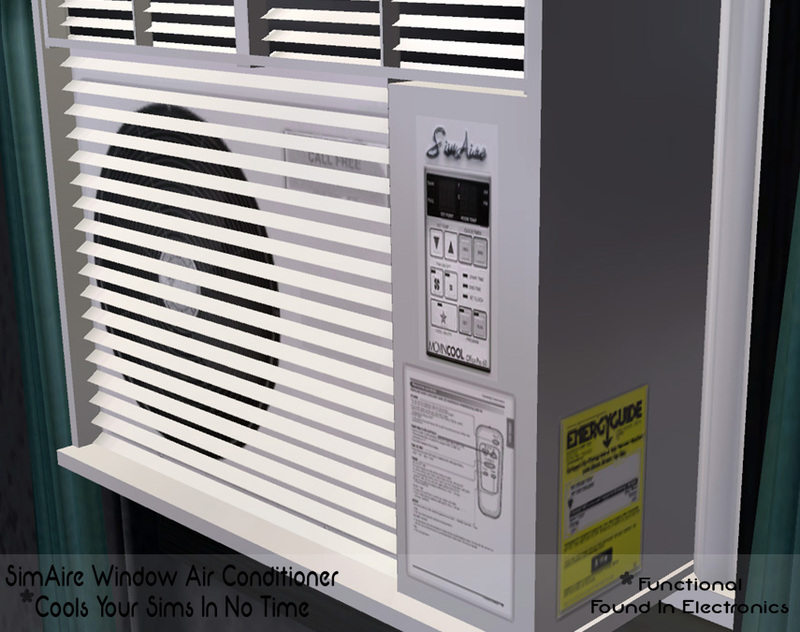 The air conditioner can be found in Small Electronics and costs 100 Simoleons. 6 recolors are included, if you don't like any of them just pitch 'em! If you would like to recolor, I strongly suggest asking for the .psd. I worked really hard on the texture and one of the layers is set up for color, just slap a new color on it and adjust the opacity. So if you want the layers, just ask. MilkShape, SimPE and Inge Jones, of course.